Located on New Zealand’s South Island, Christchurch is the international gateway for overseas visitors and is also the largest city in the South Island. 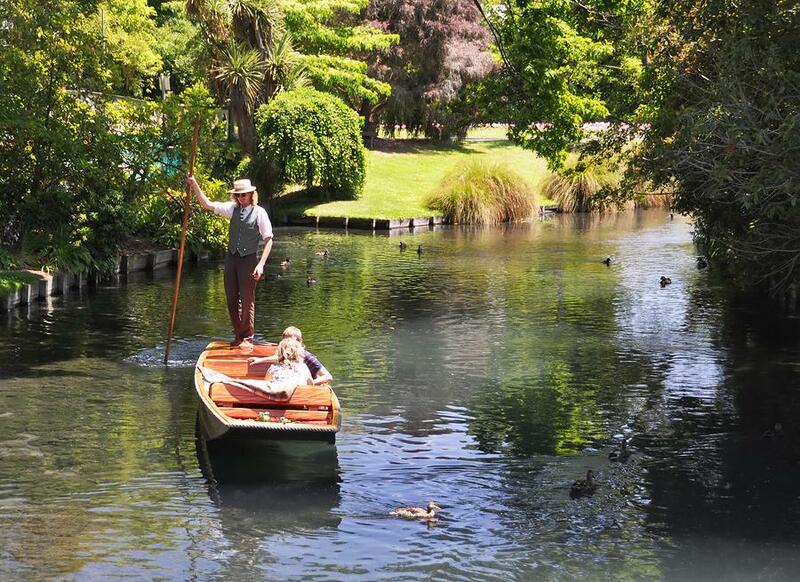 Located mid-way down the east coast, Christchurch and the Canterbury region offers a modern lifestyle with a city that contrasts against picturesque parks, cathedrals and gardens as well as shopping, dining and attractions. Opposite Christchurch’s International Airport, the International Antarctic Centre offers an exciting range of attractions including the Hagglund. Things to do include riding the historic trams, restored to circle the inner city, and enjoying a scenic gondola ride with the option of dining at ‘Pinnacle’ restaurant on night gondola rides. Relax around the cafes of Cathedral Square and watch the unique locals as they do about their day. Cathedral Square is also home to the Aquarium of Discovery complete with hundreds of aquatic species, a fly fishing simulator and glow worm cave. 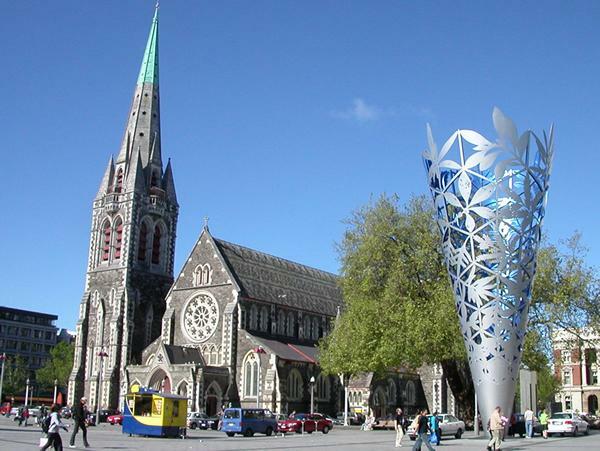 Things to do in Christchurch may also involve visiting one of the several nearby wineries and treat your tastebuds to a fine drop or two. Indulge at the resort oasis of Hanmer Springs, a day trip into the mountains home to natural hot pools. While in Hanmer the adventurous type bungy jump, hike, go quad biking, rafting, jetboating or horse trekking. Visit the picturesque harbour town of Akaroa, stopping along the way at Barry Bay’s Cheese Factory and the French Farm and Vineyard. Cruises also depart Akaroa taking in the penguins, seals, dolphins and even whales if you’re lucky. If whales are what you seek, you’ll find humpbacks, orcas, minckes, spersm and southern rights in Kaikoura, a half day’s drive north. You can also marvel at the once-in-a-lifetime experience of a Dolphin Encounter or Albatross Encounter in Kaikoura, getting you up close and personal with the bird life and swimming with the dolphins. Mount Cook, also known as Aoraki, is New Zealand’s highest mountain and measures 3,724m. Situated in the Southern Alps, this popular tourist destination runs the length of the South Island. Featuring three summits, Mount Cook presents a favourite challenge among experienced mountain climbers. The lakes of the Mackenzie Basin are another popular tourist attraction, with Lake Tekapo being the most significant. The second-largest of three lakes, Tekapo covers 83sqkm and rises 700m above sea level. The Lake Tekapo Regional Park is a popular attraction, as is the Mount John astronomical observatory and there are a number of resort hotels scattered throughout the town of Lake Tekapo. There are also a number of ski areas within an hour of the city.